Instead of thinking about social media analytics as a noun, think of it as a verb. Specifically, it’s gathering data from social platforms to help guide your marketing strategy. Why should companies use Sprout Social? 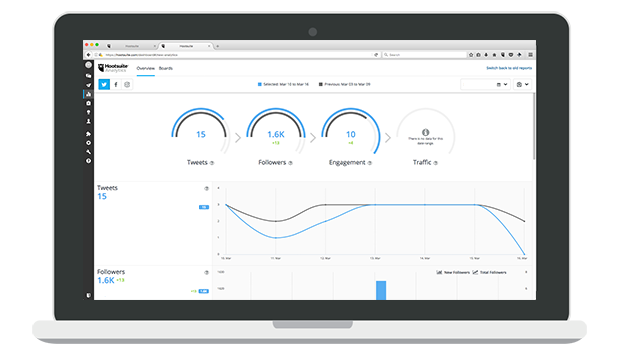 Quintly is all about social media analytics. 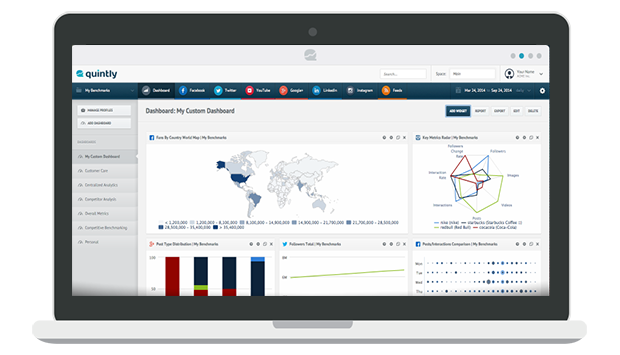 It lets you track your brand’s performance and your competitors’ across all networks. Talkwalker has some unique and interesting features, like a virality map and proprietary image recognition. Why should companies use Talkwalker? “Thanks for requesting a trial of our social media analytics suite. Based on your needs, we feel that you’d be a great fit for our collection of free reports. 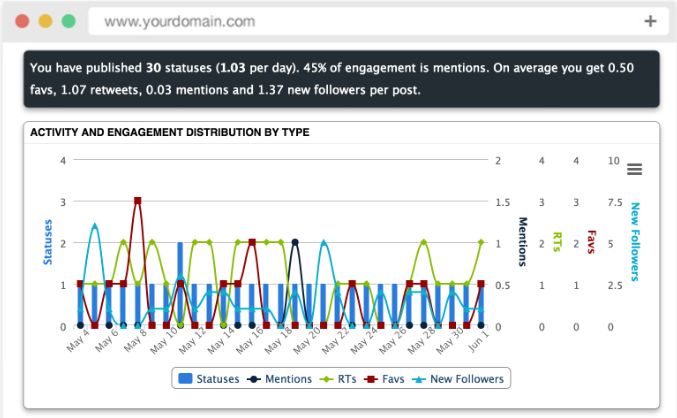 Unlike the previous two tools, Social Report is a good option for smaller companies. 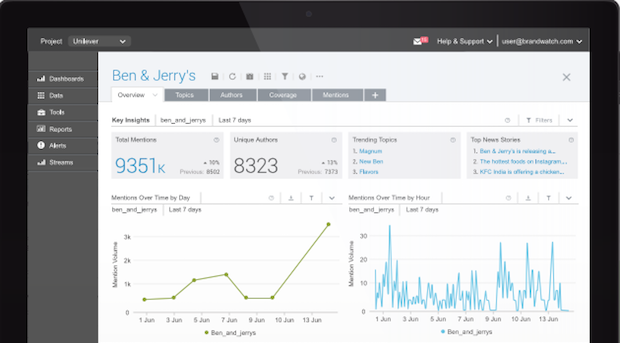 The focus of the platform is analytics, but it’s packed with many other features for social media management. Hootsuite is not a social media analytics platform per se, but I decided to include it in the article because it does provide reports, and it’s a very popular tool. We actually use it for scheduling, but we find their reports a bit limited. I really like their website (both design and copy). Their reports look very good, and you can personalize them with your own branding. I really like their clean, professional aspect. Why should companies use SumAll? 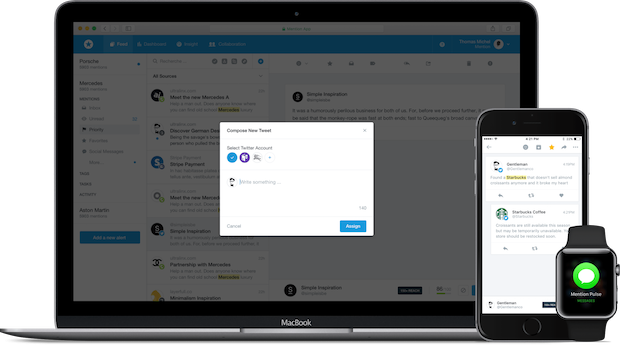 Mention is fantastic for tracking brand mentions across social channels and web, so the reports it provides are around mentions. One of my favorite features is the fact that you can reply to mentions directly through Mention. Why should companies use Mention? 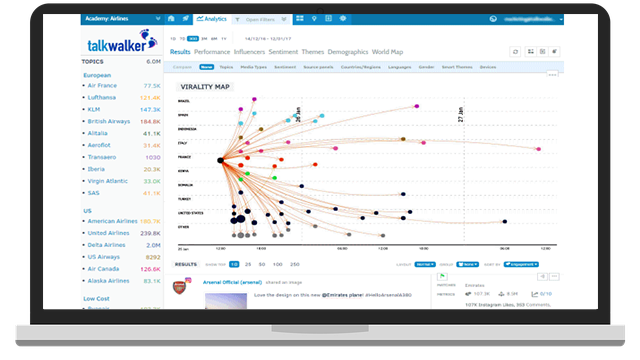 Brand24 is another tool that tracks mentions of your brand across all web, including social networks. If you need more analytics regarding engagement or audience growth you will have to pair it with another tool. Why should companies use Brand24? 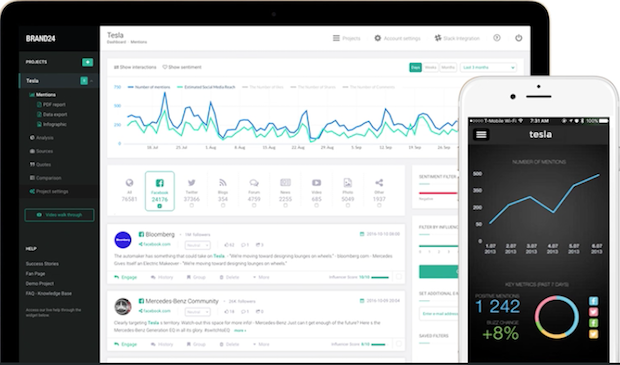 If you need a tool that’s equally focused on social media management (publishing, scheduling) and analytics (benchmarking, reporting), Allin1Social might be a great option for you, since it does all of this. Unfortunately Brandwatch doesn’t offer a free trial (they might on request, though not advertised on site), but it seems like a powerful tool for everything social. I’m still not sure whether Oktopost belongs to this list or not. When I first landed on their site and read about social analytics I didn’t realize that their focus is on social media advertising campaigns. But it is. 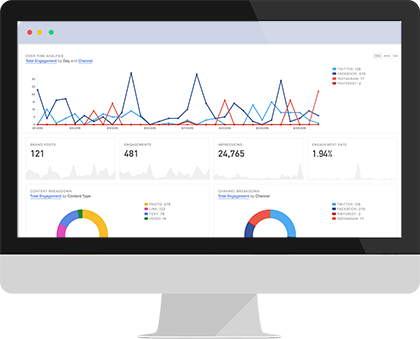 If you’re looking for a tool for social media campaign management and reporting, this is it. It’s very easy to use, but it will only track what’s published through it. 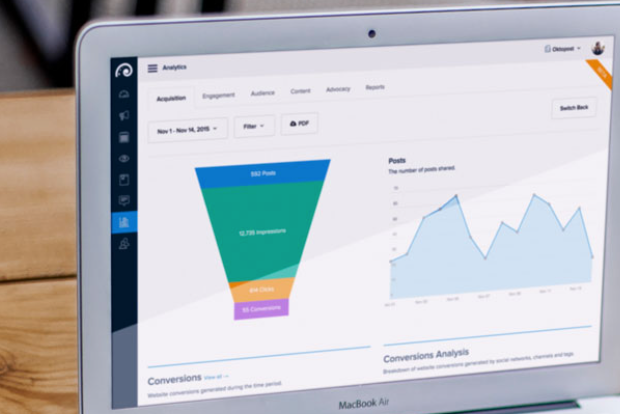 Here’s a final overview, now that you know all the pros and cons for each SM analytics tool. 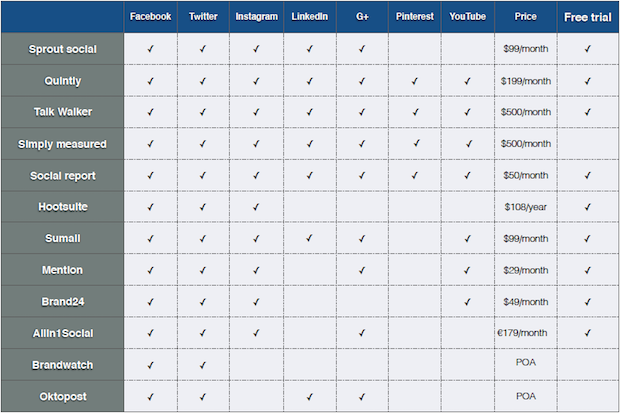 The comparison table includes the Social channels that the tool provides reports for, the cost (the price for the cheapest plan) and whether there’s a free trial or not.